Best of the week: all the news and reviews 06.12.13 | What Hi-Fi? 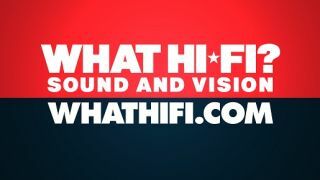 This week on whathifi.com we've covered the further rollout of EE's 4G network, Sky's progress in the digital space with the release of its Sky Go app for Android tablets, and more rumours (yes, even more) on the next generation of Apple iPads. Reviews arrived with wireless speakers from both Bose and Loewe, as well as another review of a 4K TV, the Panasonic TX-L65WT600. The Audio Analogue Fortissimo, Tesco Hudl tablet and Yamaha micro system complete this week's line-up. EE has announced that it will be rolling out its 4G service to 160 UK towns and cities by the time you rip open your presents on Christmas day. The rollout began earlier this week with Bath, Bournemouth, Brighton, Cambridge, Darlington, Newcastle-under-Lyme, Northampton, Pool, Portsmouth and Redcar on the list of towns and cities who received the super-fast mobile network. Over the next few weeks EE will take its 4G coverage to another 29 towns across the country, and with a new range of 4G tariffs already in place, EE will be looking build on the momentum established so far. After a period of beta testing, the Sky Go app for Android tablets has now gone live. Available on tablets running the 4.0 Ice Cream Sandwich, the Asus Transformer TF101 and the Amazon Kindle Fire are two tablets that are still unable to support the service. In a slightly confusing turn of events, Sky has two separate apps on the Android platform that do the same thing, with the Sky Go Tablet app suitable for 7 to 10in tablets and the Sky Go app best suited to Android smartphones. In other Sky related news, the Sky+ app received an update that allows customers to begin downloads from the On Demand store to their Sky box via the app. All the above apps are live on the Google Play Store now. Apple testing 4K iPad screens? According to Chinese website PadNews (you'll probably need Google Translate to read it), Apple is having a gander at some lovely 4K screens for a new 'iPad Pro'. The report also discloses that they're looking at 2K screens but considering the resolution of the Retina screens are effectively 2K that seems a tad erroneous. This rumour builds atop of the larger iPad Pro rumour we heard a few weeks ago, with the possibility that Apple will be launching not one, but two versions, with one of them possibly capable of displaying 4K images and video. Is 4K the future? Quite possibly, and if you're looking for a 4K TV to invest in, Panasonic's latest would be a good bet. It helps that the WT600 is the only 4K TV that features the HDMI 2.0 standard out of the box, essential if you want to watch 4K broadcasts in the future. So while it's a pace-setter in that respect, does it maintain its lead with is performance? Launched several months ago, the Loewe Speaker2go recently had a price cut which brought it on to our radar. Now on sale for £230 (although you can find cheaper still), the number of wireless speakers in that area of the market is immense. So what marks this one out? Well, in a word or two: sound quality. Spoiler alert! We've saved the best 'til last with this look at Bose's latest speaker. Though it is tiny, its sound belies its comparitively small stature. Compared to its rivals the SoundLink Mini's spec sheet is rather bare, but if you're looking for something focused on simply delivering great performance, it's a fine bet.